Becc Orszag is a seer guiding viewers through uncharted lands in IMPROBABLE JOURNEY. Her work calls upon the spirits of distant lands and times, whose worlds overlap and co-exist within our own. Orszag proposes unlikely interactions and encounters through sequences of small-scale pencil drawings. Alternating between impossible landscapes and domestic exchanges, the works are inhabited by a range of characters whose curious activities deliver surprising outcomes. 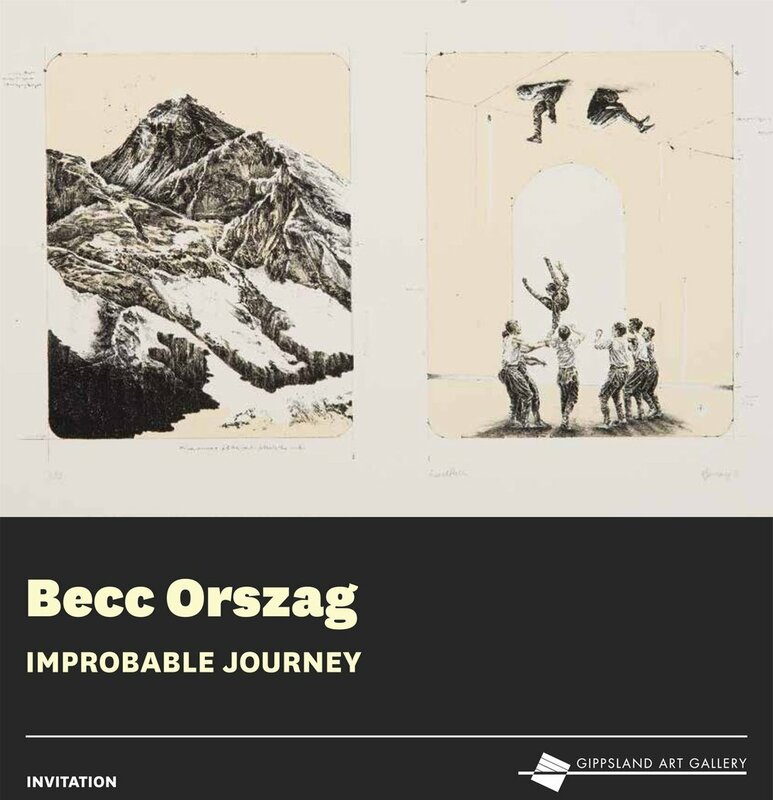 Becc Orszag's latest lithograph Dive Fest has been selected as a finalist in the Swan Hill Print & Drawing Acquisitive Awards. The exhibition opening is Saturday 12 May and the exhibition will run until Sunday 8 July at the Swan Hill Regional Art Gallery. 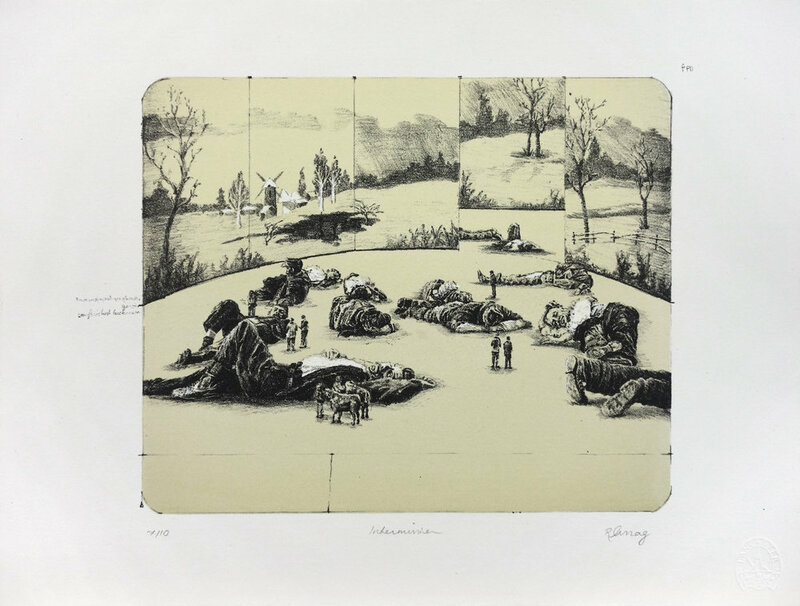 Becc Orszag's lithograph Intermission has been selected as a finalist in 2011 Rick Amor Print Prize. The finalists exhibition is on show from 8 APRIL - 22 MAY at picture perfect Montsalvat.